That's basically the sum of Barton Fink. Therefore it is a movie any writer simply must see. 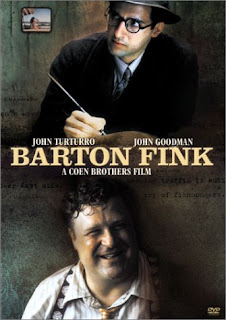 Outstanding script and direction by the Coen brothers, supreme acting by John Turtorro and John Goodman and wonderful cinematography doesn't hurt either. But the best thing about Barton Fink is that it doesn't spoon-feed the audience. The film is shrouded with mystery and absurdity, but no real explanation is ever given. This is a film you've gotta figure out for yourself.